Explain basic emergency procedures to students at the beginning of each quarter, including the evacuation plan, and assembly points for their facility. Faculty, upon hearing the fire/emergency alarm, or when instructed by building coordinator, will ensure the safe evacuation of all students, including the evacuation of persons with physical disabilities, per a previously established contingency plan. Time permitting, close all doors and windows. Alert others in the building as you exit. 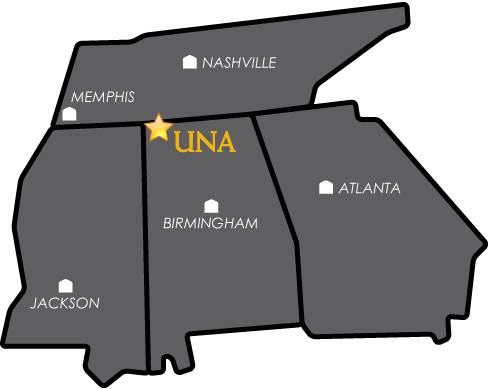 Stay with the students (staff) throughout the evacuation and assemble at the designated assembly point until notified otherwise by authorized personnel, including UNA Facilities Staff, UNA Police Officers, UNA Administrator, or Fire Department personnel.